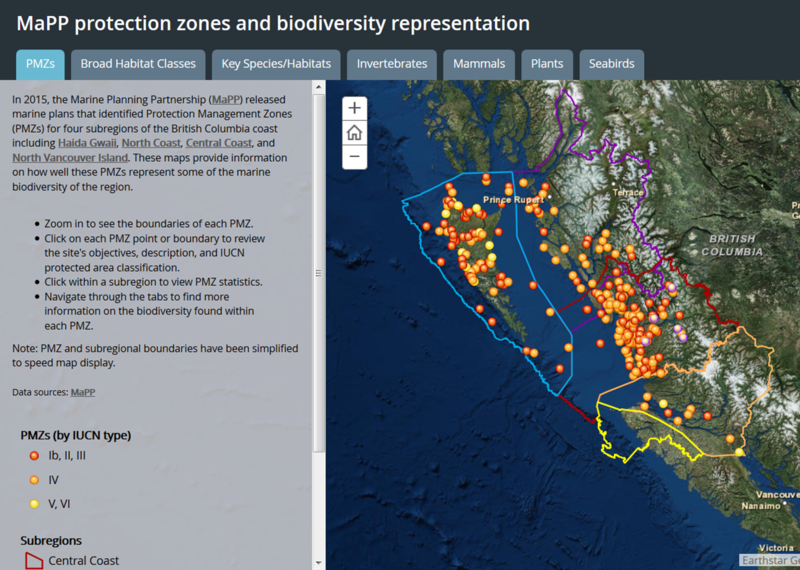 The Marine Planning Partnership (MaPP) has designated a suite of Protection Management Zones across B.C. 's north and central coasts. These sites, while not currently protected, will be considered in the plan for an MPA network for B.C. 's coast. Click on the story map to find out more about the ecological riches found in these important areas!